When selling Dice Masters cards and dice, it is important to keep the die with its matching card. 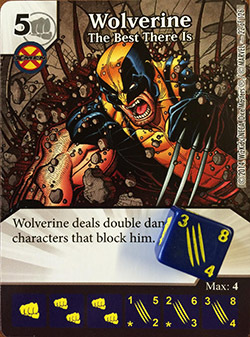 In the above example, there are two different Wolverine cards each with its own die. Note that each card also shows the color and faces for its own die. 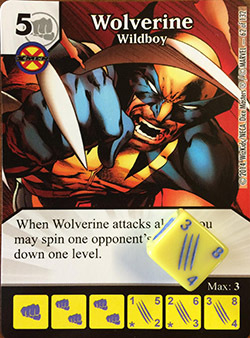 In tournament play, it is illegal to use a die of the wrong color associated with your character, so it is important to be accurate in sending the right die along with the right card.